A private preview will be held tonight (for those that RSVP'd) at the newly renovated Somerset Place Apartments at 5009 N. Sheridan. We stopped by today to see the progress thus far, and as you can see, the street presence has improved dramatically now that the arched windows have been restored. The street level facade had been covered up in brick in previous renovations seen here and here that were not the most aesthetic. Not able to make the private preview tonight? Check out their website for photos of the interior. A tip of the hat to Zidan Management for investing in Uptown and we look forward to the new residents that will shop in Uptown stores and dine at all of our great Uptown restaurants. 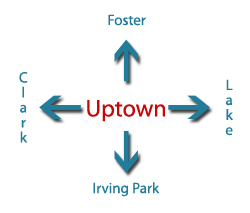 I've noticed that at some other sites people are "poo pooing" this positive change for Uptown. There I said it: Poo Poo. Get over it! A building that was vacant for years is getting new life. A building that was run down and largely occupied by people who needed a more formal setting to deal with their mental health/addiction issues is made anew. Michonee from the "Walking Dead" would have been scared to walk around there and her skills with a katana sword would make a Samurai jealous. That place should be renamed the Uptown Phoenix. As for those who mourn the loss of the old Somerset all I can say is "this".
" I pass through the area periodically, but haven’t seen anything that drew me out of the car. The last time I visited the neighborhood, several months ago, police with drawn guns were in the middle of Sheridan just north of Argyle preparing to chat up some teenagers." As long as the ghetto/gang atmosphere defines Uptown (when I drove under the el on Wilson yesterday, there were people sprawled out on the sidewalk passed out....Welcome Home!) thats gonna be the case. And no matter how many millions are spent on the new station, it won't fix that problem. Bottom line is, its time to admit that the neo Marxist journey from 1964 Join to today has been a dead end canyon of perpetual despair and hopelessness for the very people who were supposed to be helped. More of the same a'int gonna work. Sure is a shame they couldn't fully recreate his playful detail at the entrance. In order to sustain their legitimacy, they ....NEED... a permanent underclass. did you get your nom de guerre from "Sid Vicious"? I know you like to use musical pop culture references when you pick names. It's a rhetorical question. Please don't answer. Your genius is needed elsewhere on the internet. As for the Somerset perhaps they are overpriced. If so the owner will drop the price. 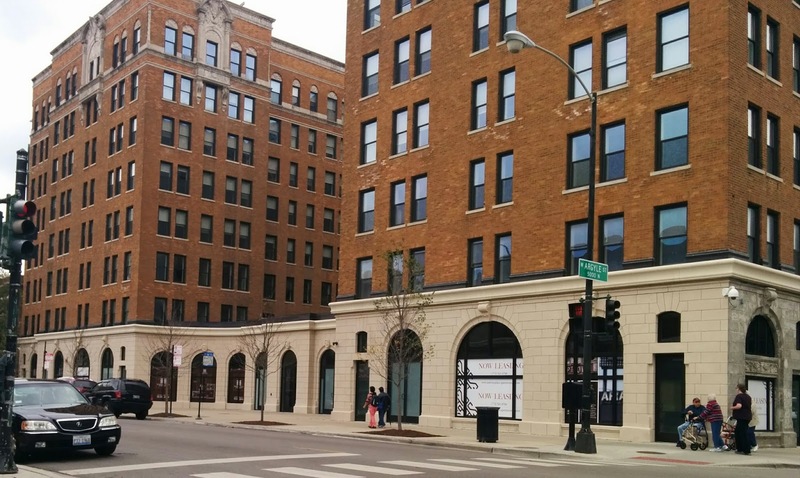 The Halsted Flats building is now 90 percent rented. It's a landlord's market. I do like your link though. Man, could you work in Jane Fonda next time? 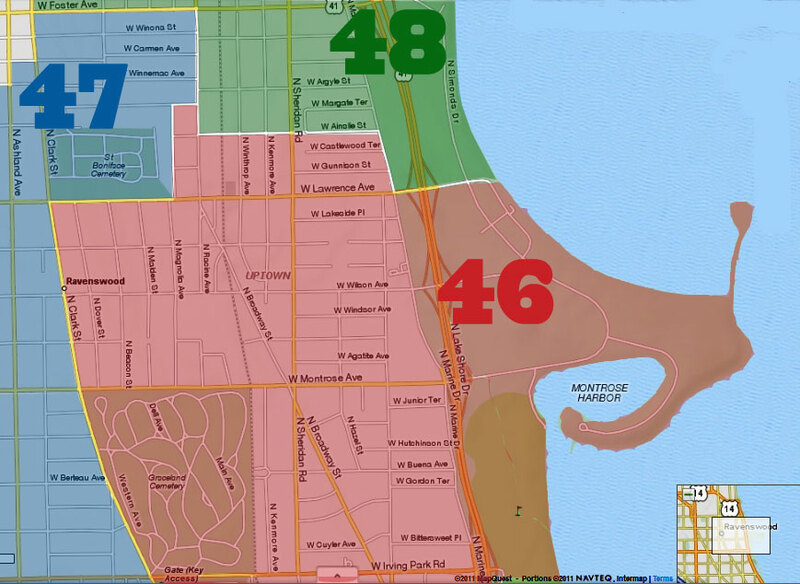 Somerset isn't Halsted Flats and Uptown isn't Lakeview, but Sheridan and Argyle isn't Wilson Avenue. I suspect Somerset will do well by late next spring, but perhaps the rents are too high for the location. Time will tell. In any case it's a positive change. Like Sid Vicious you do it with your own unique and self destructive style. Here's to Sid. Or should I say both the Sids? The place looks very glamorous. Now, if the beautiful Lorelei and the stately Lawrence house are restored and rehabbed, the neighborhood will be about halfway there. The renovation of lesser buildings will follow if these buildings are successfully rented to good tenants. Somerset closed just before we moved in down the alley years ago. 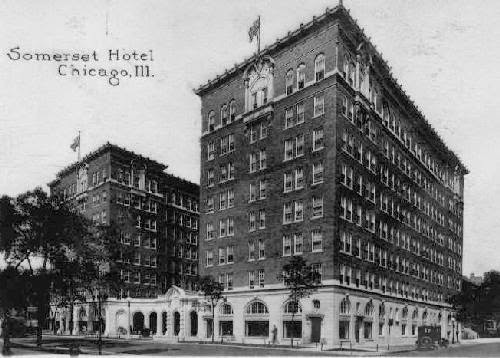 It was "creepy" and "likely haunted." Granted, it probably IS haunted, but it does look very nice. What a wonderful change.